I-BAND: Interior Public Safety Band - Berk-Tel Communications, Inc.
Is your building equipped for Emergency Communication? First responders rely increasingly on wireless communication devices. In emergency situations they cannot afford signal loss or delay caused by attenuation, interference, or reflection. It is literally a matter of life and death when a firefighter is in your building trying to communicate with his or her team. The National Fire Protection Association has enacted ordinances requiring minimums levels of coverage for Public Safety communication within new buildings. Ensure your building is equipped for Critical Communications with a Berk-Tel Communications solution. 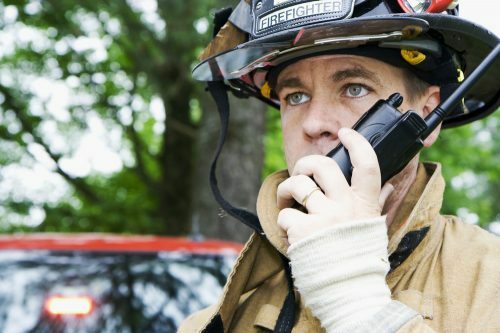 Whether meeting NFPA requirements for first responders, or ensuring security personnel’s two-way radios function at full-reliability, Berk-Tel Communications’ menu of customizable signal amplification products provide for the most cost-effective and robust solution on the market. © 2016 Berk-Tel Communications, Inc.